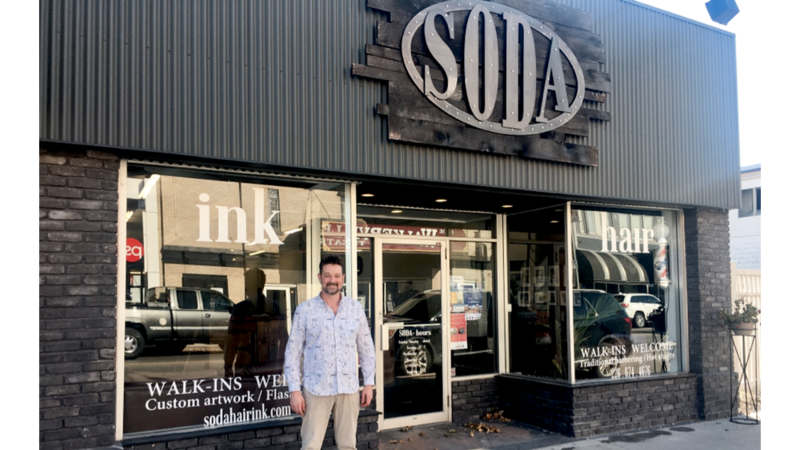 This week, we met with Ben Deacon, a hairstylist and co-owner at SODA Hair Ink, a new salon and tattoo studio in Walkerville, Windsor Ontario. 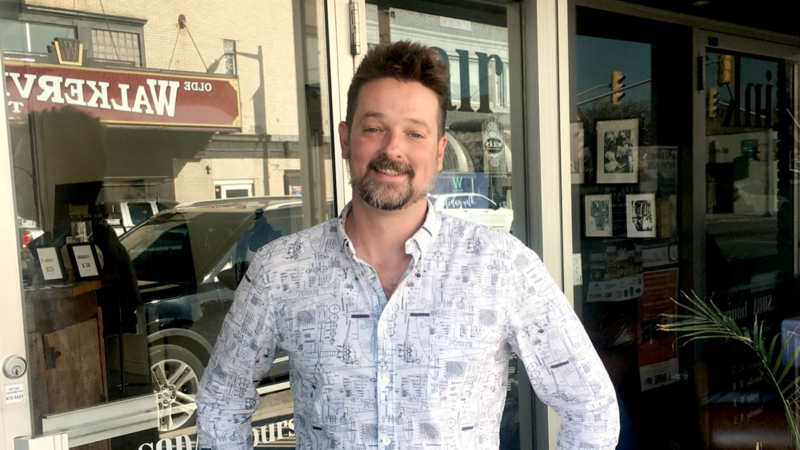 With over two decades in the hair industry, education is still Ben’s passion, be it as a student in a classroom, or leading a class on a unique journey into his years of industry experience. 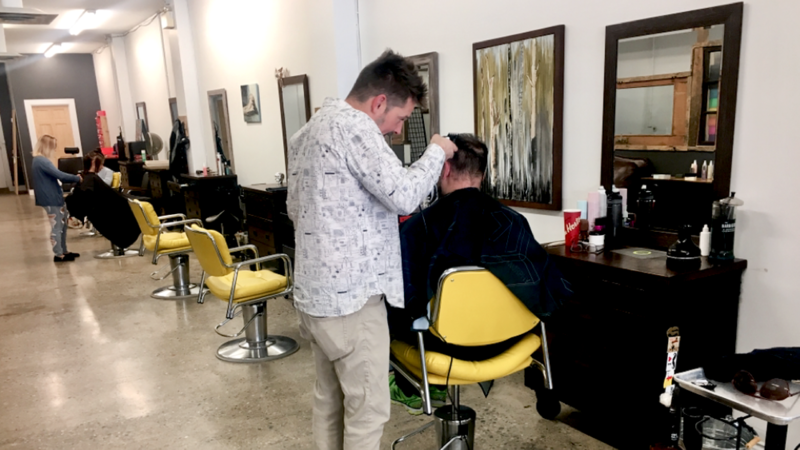 You can learn more about being a Hairstylist through our detailed Career Profiles. I get to the shop about half hour before we open to make sure that I have everything that I need for the day. Through-out the day I generally have two clients going at the same time and have an assistant or apprentice with me so that I always have an extra set of hands. It’s great because they get the hands on experience and I can help them progress their careers, and they can help me be able to serve that many more clients in a day. Especially during our busiest hours which are between 5:30 and 8:00. 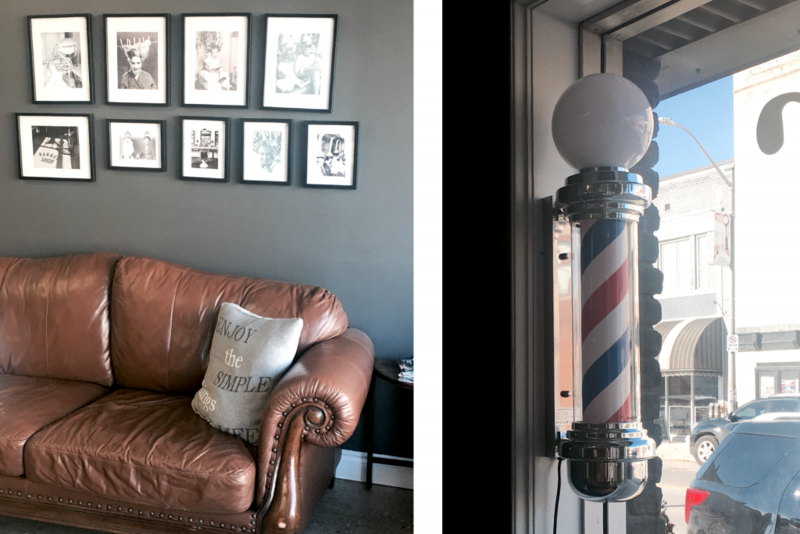 We cut, colour, style, whatever the person needs. After we close, I finish up with the space and head home. 24 years ago I was on the path to engineering but had a far more creative side than a mathematical side. I was sitting in my hairdresser’s chair telling her my plans and she said “don’t waste your creativity, you should do hair.” So around age 14 I started working part time at the hair salon. I was happy to do whatever job they had for me- sweeping up hair, folding towels, running errands for them. 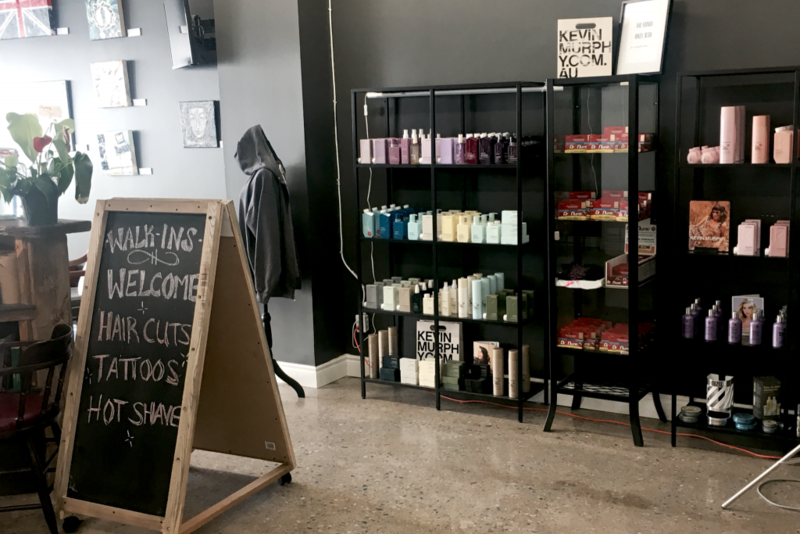 By age 18 I had decided to stick with the creative route I was on, I packed up all my things and moved to Windsor from Cambridge and went to St. Clair College for hair-styling. It was a 12 month program, with in-class technical skills and theory, and hands on experience. I completed my apprenticeship in a salon and then wrote my licencing exam. After moving down here and deciding to stay I’ve probably worked in 12-15 shops between 1999 and now. 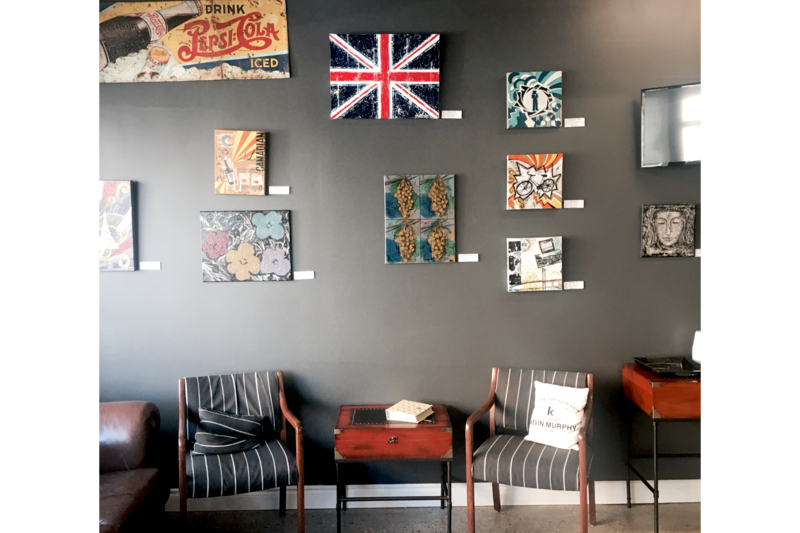 I worked at POP Hair Gallery Ink for 7 years as a hairstylist. 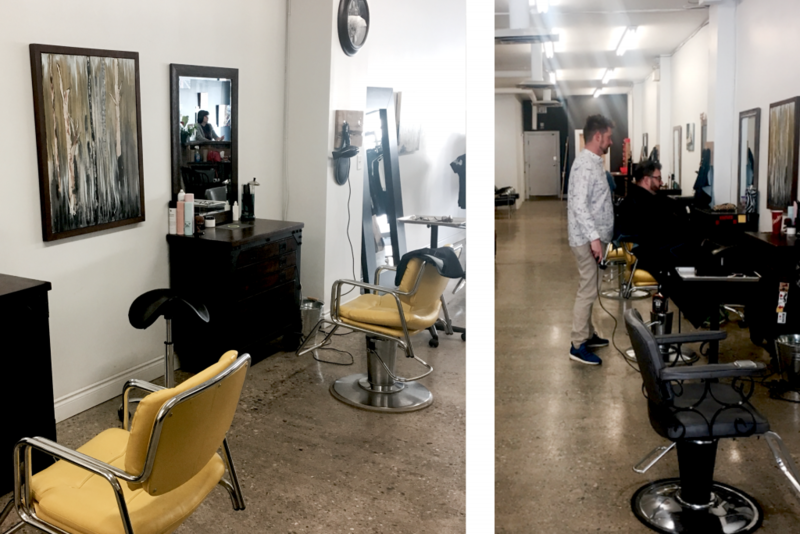 The salon was at capacity, we didn’t have room, and we wanted to expand. So two of the owners offered to partner with me and open SODA, making it POP’s sister company. 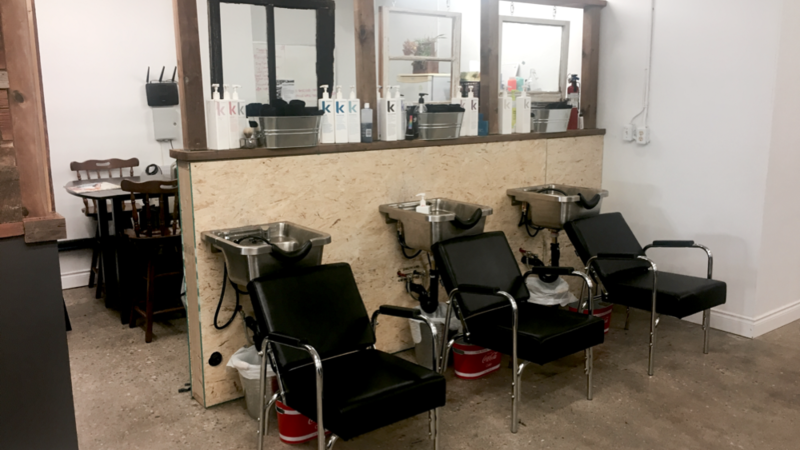 We opened the second shop in only 5 weeks, and after only 7 months here, we already have a fantastic full staff working 7 chairs and 5 tattoo rooms. 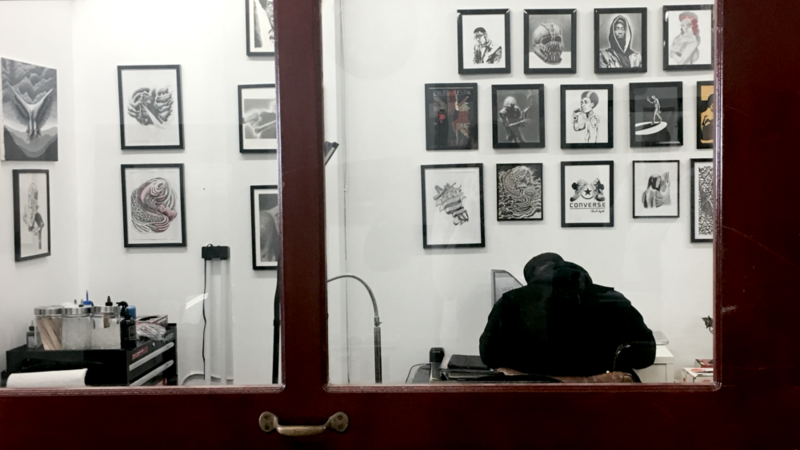 We currently only have one chair open and two tattoo spots open. What made you want to be a part of opening a shop? Being somewhere where education was key and a team that I could enjoy working with every day was super important to me. A happy safe, pleasant work environment filled with creative people is always what I’m looking for. There are a lot of folks in this industry that are exceptionally creative and talented but don’t always thrive in the management side of things. A manager needs to be focused on the team, not themselves. What would you say is the most challenging part managing/having a shop? Trying to find a team of people that share the same passion, the knowledge and the ability to the level at which I’d expect someone to perform has been really hard. Education is so important here; we constantly train and retrain. I probably take 15-20 classes a year- doesn’t matter if it’s something new, it’s often a refresher of something I’ve already done. But we continuously train and educate to keep up with what is going on in the industry. Would you say that is one of the biggest challenges for a hairstylist? Staying current? Absolutely, the challenges are staying current and staying on top of things. Keeping up with what’s new and trending. Every day there’s something new and something changing in the industry, staying on top of that can be really challenging. But that’s why we stick to our continuous education and are always training and retraining. Because the industry is ever-changing, it’s also the best time in history to be a hairdresser right now. This is because if you can dream it, there is technology out there to help us do it safely. At SODA, we are also always thinking about safety. We are a completely ammonia free salon. Our entire styling and retail line is all paraben free, sulfate free, vegan friendly and never tested on animals. Other than the new technology giving you freedom to be creative, what’s another great part about being a hairstylist? Definitely the people. Every person, every head, is a different experience. You can give the same haircut 50 different ways, depending on each individual. For example- some people want a soft textured bob, but they’re afraid of the razor, so you have to think creatively, and use a different tool to achieve the same look. I guess really the best part of it is being creative and the variety that the job brings. Every day is something new. What advice would you give to someone looking into this career path? If someone wants to be successful in this industry, they need to hustle. There is no such thing as a job too small, not enough work, or the wrong kind of work. Take absolutely everything you can get with this business, even if it’s folding towels. Get your foot in the door and continue to learn. Just because you’re not busy at the moment doesn’t mean that the work isn’t out there. People in all levels of this industry manage to keep completely full books. You have to market yourself and hustle. To find your apprenticeship- talk to people you know and make sure you have a collection of your work to show potential employers. They want to see that you have a handle on what you’re doing. If you actually want to get interviews in the industry- apply for your job, or apprenticeship, in person. Shake their hand, introduce yourself, it makes a difference. What types of people are you looking to have on your team? I’m looking for somebody who knows what they want, has a strong personality and is willing to learn. We are looking for go-getters and hard workers who are easily trainable. To be honest, if you tell me that you’re a hard worker who loves learning in the interview, and you’re able to prove it to me, then we’ll have a long lasting relationship. If you aren’t very experienced, the team has no problem training, we love training, its half the reason why I wanted to open the shop. I’m happy to educate and help you find your way. Bad habits are just skills that haven’t been fine-tuned. Everybody finds their best way to do the job, but we’re there to train along the way while they find their best way.